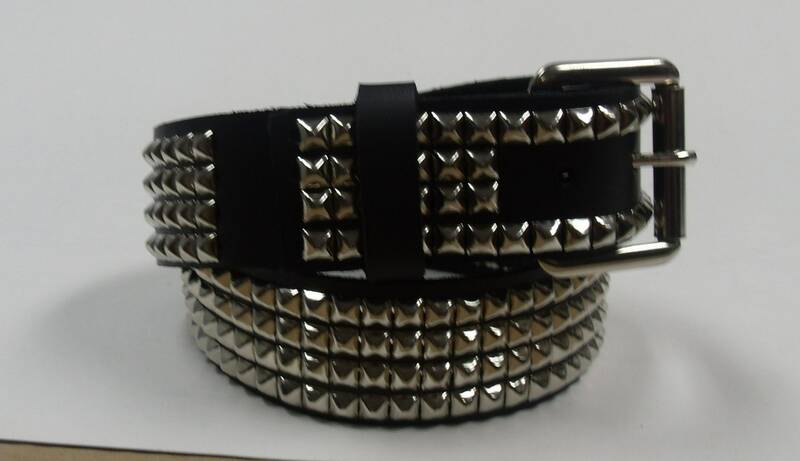 4 row studded belt, 1 and 1/2" wide. 1-1/2" ( 38 mm ) Wide Genuine Leather Belt. sizing is to the center hole. There is 5 holes for adjustments. First to say, remarkable quality. Nothing like that produced here in Moscow. Amazing attention to details, leather quality and, as a final surprise, interchangeable buckle system! I'll be back for more!